This boat was donated to the Herreshoff Museum by Geoffrey Davis of Providence, RI in 2001. It has planked fore and aft decks that are canvas covered. George W. Zachorne, Jr. bought this boat as a wreck from Bill and Maria Barney of Providence in 1987 and completely restored it in the winter of 1989-90. He then sold her to Geoffrey Davis. She came in first place at the 1990 Herreshoff Rendezvous. 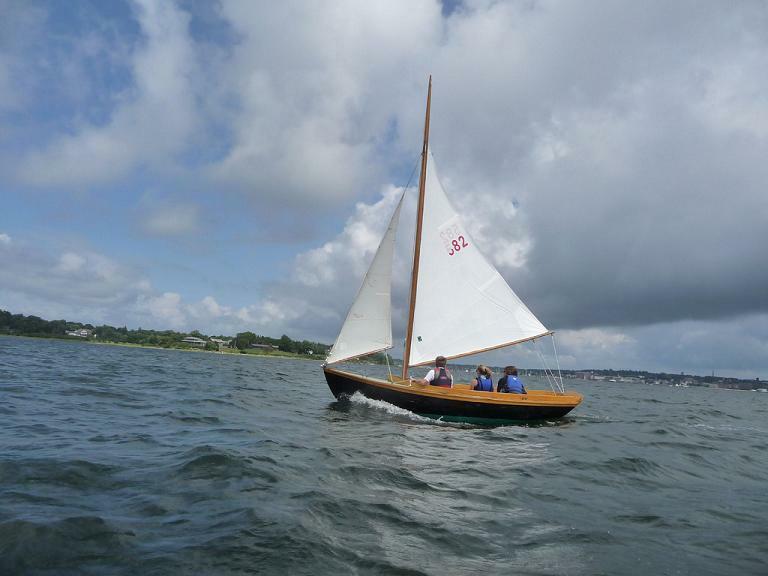 The boat is currently used by the Herreshoff Museum Sailing Program.